Greedy Bins is in the waste disposal and management business since 2001. Our company’s reputation is built on quality, effectiveness and affordability. 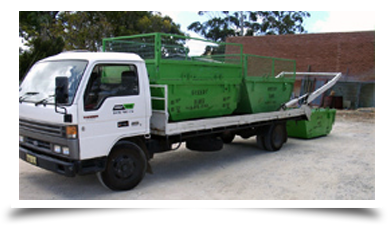 If you are looking for skip bins hire Craigie, Greedy Bins is your best choice. Our skip bins hire service is the most reasonable in the business. We are committed to providing only the best service with utmost respect to customer satisfaction. Our skip bins hire Craigie services cover residential light greens and general household. Our skip bins hire business has been praised by several satisfied customers, in the Craigie area. Our wide range of services makes it easy for our customers to properly choose which waste disposal service is ideal for their needs. Here at Greedy Bins, we offer several options for bin sizes. We have 2.5 m3 bins for minor waste disposal needs. However, should the demand rise, we also have 4.5 m3 bins which is big enough to take care of any garbage disposal problem. We consider time as a valuable resource, which is why we offer skip bins hire Craigie that can delivered and collected on the same day. All you have to do is give us a call so that we can accurately give you a quote to cover your waste disposal needs. Feel free to give us a call and our friendly customer service team will sure to take all of your waste disposal problems away in no time. We are open seven days a week from 7:30 am to 5 pm. Always remember, if you need skip bins hire Craigie. Greedy Bins is the name to be.